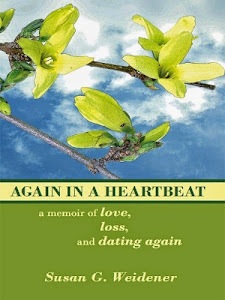 Recently I learned of the sudden death of Kate Raley, my editor for Again in a Heartbeat. A woman of uncommon brilliance and sensitivity, Kate came to the first Women's Writing Circle read-around in November 2009. She told me she had seen a notice posted about it in a coffee shop. 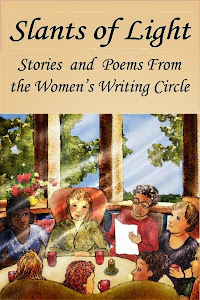 She read a story in the Circle about a little girl who challenges a Catholic priest to defend the notion of heaven. The little girl laughs at him, mocks him for his platitudes, questions his dogma. 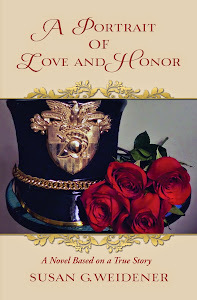 He is no match for her wits, her intelligence, but he has the power to hurt her. It's tough work this business of memoir and writing from the heart. The grueling nature of sustained investigation of the self often lies in the hope that at the end of the journey comes healing and peace. Sometimes, though, even the writing doesn't help. After learning of Kate's death, I talked to a fellow writing teacher of women's stories. She often asks herself a question. What is the one needful thing required to be able to help those who seek her out and move on to the next person? They want a guiding light, a mentor, and imagine she holds the key to unraveling the mystery and pain of their lives through writing. Of course no one can rescue another, she said. My friend confessed that over the course of her long and distinguished career she often has to set boundaries. She only has so much energy, she must conserve some for herself and her family. This I know well even though I am new to this work. We offer a place for other women to find their voice. Hopefully, it is a supportive place like the Circle. Women read aloud their stories . . . their words resonate. This is offering the one needful thing we can do, I told my friend. Sunlight broke through winter clouds and shone through the windows. I got up to pour more white pear tea she had brought for us to enjoy. I felt more hopeful than I had in a while. Kate wrote voluminous notes on the back of my typed pages, in margins, on separate sheets of notebook paper. So sorry to hear of the loss of such an incredible and sensitive woman. Thank you, Sherrey. 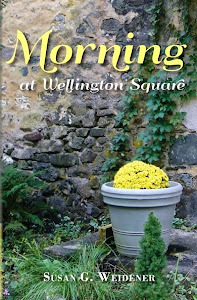 Kate was an unexpected gift one gray morning in November when she arrived at Wellington Square Bookshop to share her story with the Women's Writing Circle.